How much will your book cost to print? 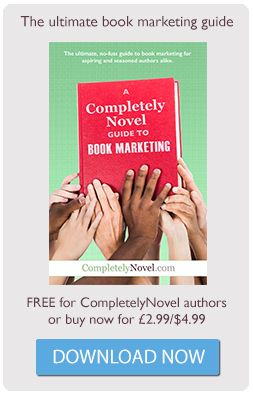 We’ve set up CompletelyNovel so that authors can create and sell their books at prices that make sense. We use the best print-on-demand printing facilities (the ones that the big publishing companies use) which means that you get great quality books, without any upfront cost. Book Size Demy - A good format for fiction. Crown - A larger size. Commonly used for non-fiction. How do we get our prices so low? We keep it as simple as possible so we can benefit from big volume discounts. All our books are black and white. Pictures will be printed in high quality greyscale. We only print paperbacks. Hardbacks are still expensive to produce in small quantities so we stick to paperbacks to make sure you get the best value. The cost of printing depends on the size of the book and the number of pages. How can you buy books? Your customers can buy books directly from CompletelyNovel.com or, if you are an author on one of our Publishing Plans, anyone can buy through the likes of Amazon and other retailers. Our authors can always buy their own books at cost price. There’s no limit to how many you can buy. All you need to pay for is the printing cost and the postage!